Remove and discard the stones from the jackfruit segments. Coarsely chop the fruit. 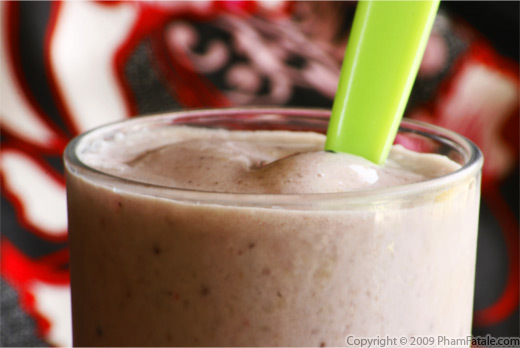 In a blender, combine all the ingredients (except mint) until very smooth. Pour into 4 tall glasses. Garnish with fresh mint leaves. Decorate with an umbrella and bubble tea fat straw. I used Vinh Khang brand soy milk to make this drink authentic. This soy milk doesn't taste anything like the one in supermarkets. It's freshly made daily. Make sure you buy sweetened soy milk; the unsweetened version is quite tasteless. If you live in the Bay Area, you have to try it. There are two locations that I know of in the Bay Area : Vinh Khang Tofu, 141 Dixon Road, Milpitas, CA 95035 and 2955 Senter Road #80, San Jose, Ca 95111. 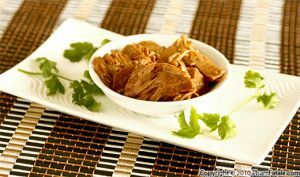 I buy fresh jackfruit at a local Asian market. You could also use canned fruit (also available in Asian markets). 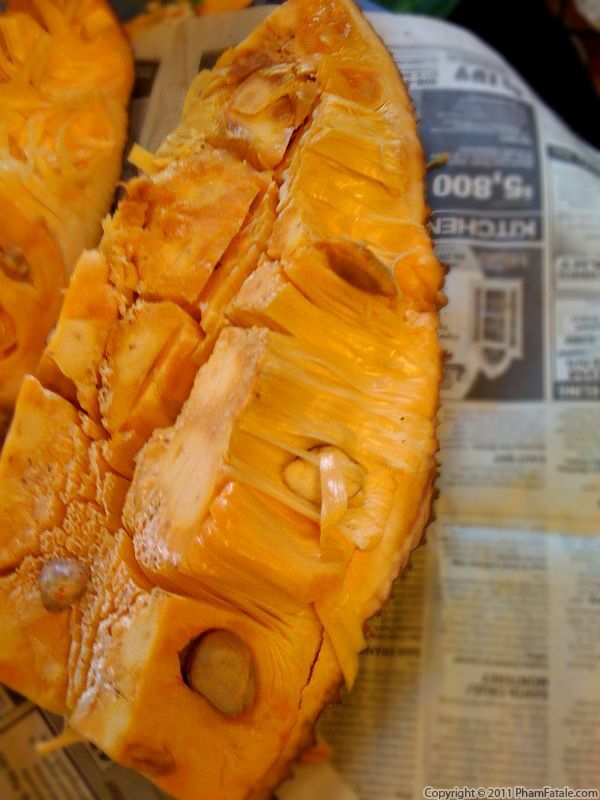 Before cutting the jackfruit, make sure the work surface is covered with newspaper. 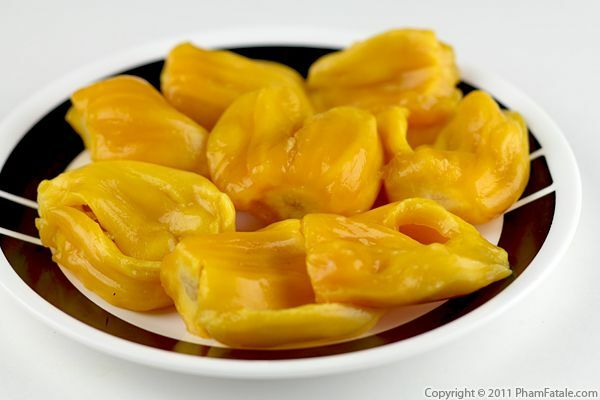 Also I use a sharp knife that I keep exclusively for this kind of fruit; the jackfruit releases a very sticky sap. Remember to oil the knife and wear oiled disaposable food gloves. I use Longevity Brand sweetened condensed milk. You can easily find it in Asian stores. Well, at least it's very easy to find it in California. 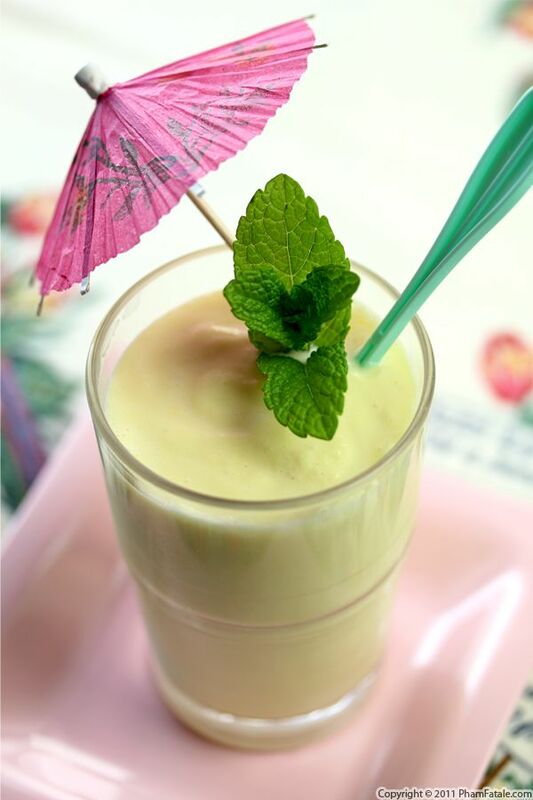 I find the sweetness of the condensed milk gives a good balance to the shake. 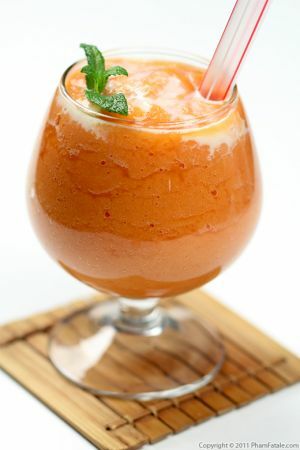 I used mung beans (đậu xanh in Vietnamese), which give the drink a thick consistency. I use the Vitamix blender. It's really powerful; it crushes ice into sno-cones ice almost instantly. It's perfect for smoothies; just make sure there is some amount of liquid so the motor doesn't burn. If you're vegan, you can substitute another sweetener instead of condensed milk. 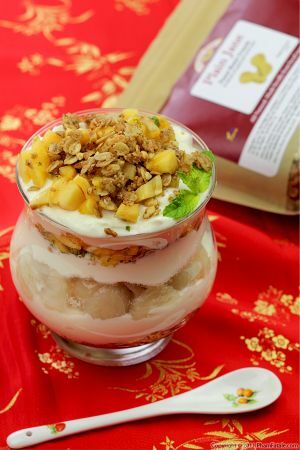 You can pair sinh tố drink with a Vietnamese dessert. You could also make a cà phê sữa nóng with the remaining condensed milk, which is also a typical Vietnamese drink. Published By: Jacqueline Pham on April 20, 2012.